The Land Trust negotiated its first Conservation Easement Agreement with the Clifford Family in February 2009 on an exceptional 1250 acre pristine wilderness property near Flower Station, formerly known as the Alba Wilderness School. It is the second largest legally protected area in Lanark County, next to Murphys Point Provincial Park. The Agreement stipulates that the landscape will be permitted to develop naturally into a mature old growth forest and activities such as logging, hunting and trapping and the use of motorized vehicles will be restricted. 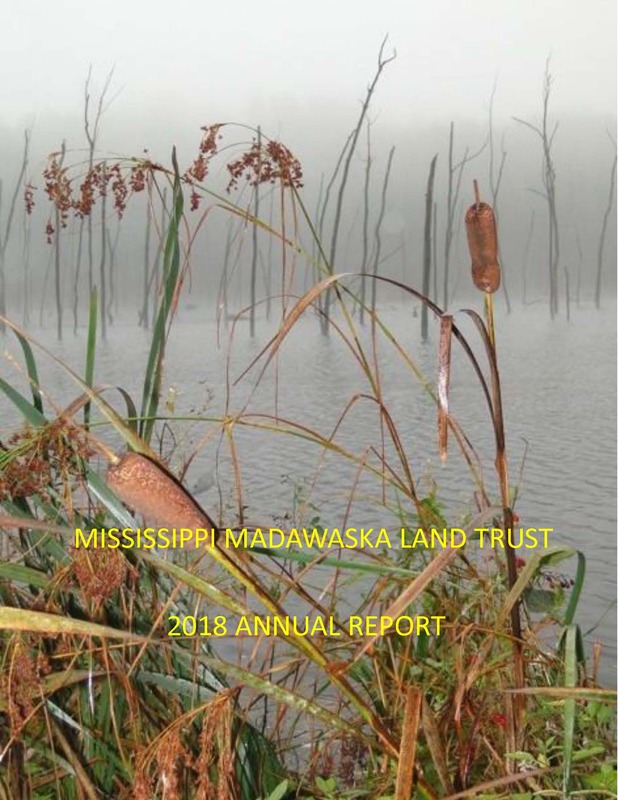 The property has a wide variety of habitats from pine and hemlock ridges, cedar groves, scenic outcrops, waterfalls, creeks that feed the Clyde River and the Mississippi watershed, ponds, marshes, and a bog that hosts abundant wild cranberries. CliffLAND is open to the public to come for hikes or to be used by groups for nature education. 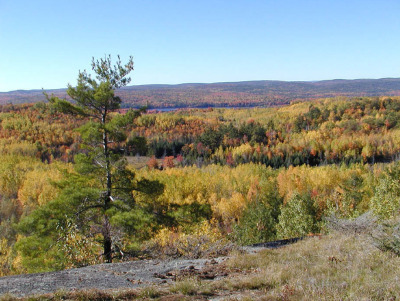 A network of hiking trails on the property lead to such scenic natural features as Blueberry Mountain and Pike’s Peak, two of the highest elevations in Lanark County. As you follow the trail up the mountain you follow a picturesque waterfall which tumbles down a series of rock cliffs. You can visit a 150-year-old pine grove and an old cedar grove which includes an ancient tree over 300 years old. Another trail leads to the secluded Mann Lake, inaccessible by road. A botanist who visited the property twice has already identified 53 species that are considered uncommon in Lanark County; 20 species that are considered sparse; 13 that are considered rare; and two which have not previously been reported in this county. At least 12 Species at Risk have been observed on the property so far. To learn more about the ecological history of this area, click here. Blueberry Mountain was voted by county residents as one of the Seven Wonders of Lanark County and in 2012 was climbed by over 800 visitors, both young and old. Fifteen of these nature lovers have been inaugurated into the 80 Plus Club and now there are two youth clubs as well, one for under five years and one for under 12. The property is gaining a reputation of becoming a recreational and nature Mecca. Here’s a video looking down from above during the splendid display of fall colours. If you are interested in visiting Blueberry Mountain, the trail is clearly marked and you are welcome to hike to the lookout. Please sign the liability waiver form located at the Welcome Kiosk. If you wish to explore other trails on the property, please call Howard or Jean Clifford for an appointment at (613) 259-3412. Click on the following link for a photo tour.